SAN DIEGO (AP) - The Navy and Coast Guard were scouring the ocean early Thursday for two more members of a Navy flight crew whose helicopter went down on a training flight from an aircraft carrier, killing at least three, authorities said. A team of Navy search and salvage specialists planned to use unmanned underwater vehicles to search for the wreckage of the HH-60 Seahawk that crashed late Tuesday night after taking off from the USS Nimitz, the Navy said in a statement. Three bodies were recovered Wednesday, said Lt. Karin Burzynski, spokeswoman for the Navy's 3rd Fleet in San Diego. The search continued in an area near the uninhabited Coronado Islands 13 miles southwest of San Diego off the northwest coast of Mexico, said Coast Guard Petty Officer Jetta Disco. Some debris was found Wednesday. The crew members could be expected to survive about 36 hours after the crash, based on water temperature, body weight and other factors, Disco said. Thirty-six hours will have passed since the crash by about noon Thursday. There was no information on the cause of the crash, and names of the crew were withheld while authorities notified their families. 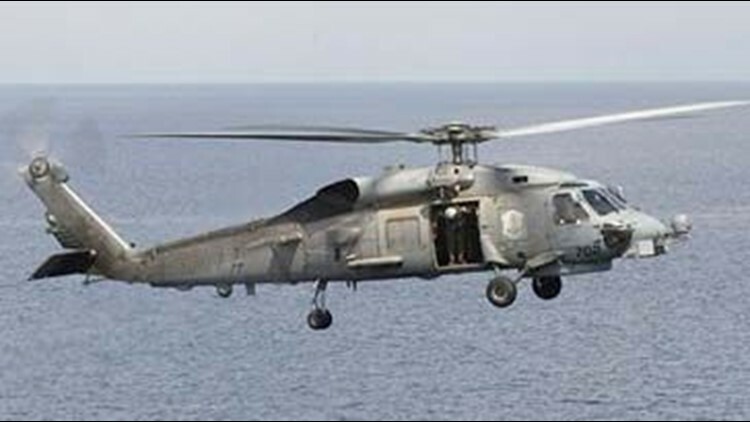 The helicopter, part of an anti-submarine squadron from Carrier Air Wing 11, was 87 miles from the Nimitz when it crashed. The Nimitz and a half-dozen other ships in its strike group were taking part in search-and-rescue training exercises. The Seahawk is a twin-engine helicopter typically used for anti-submarine warfare, search and rescue, drug interdiction, anti-ship warfare, cargo lift and special operations. Associated Press writers Andrew Dalton in Los Angeles and Pauline Jelinek and Richard Lardner in Washington contributed to this report.